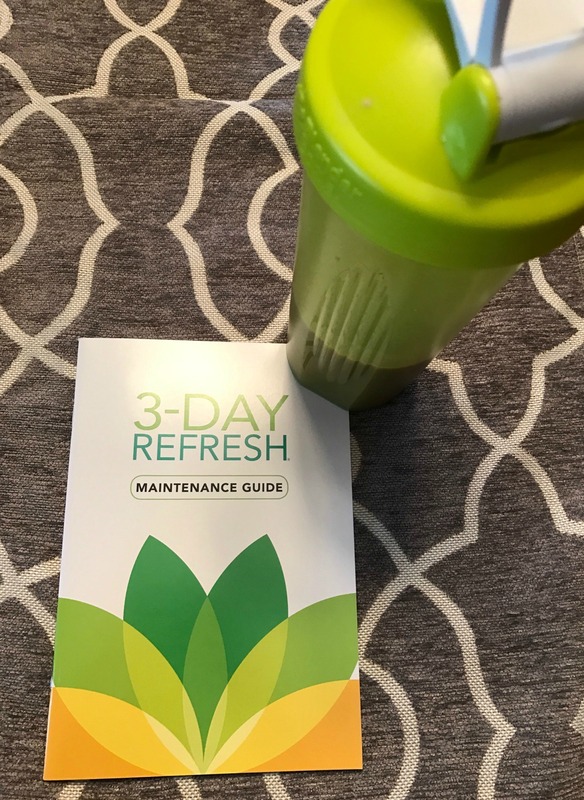 My New Happy: My 3 Day Refresh Review or What Have I Gotten Myself Into? 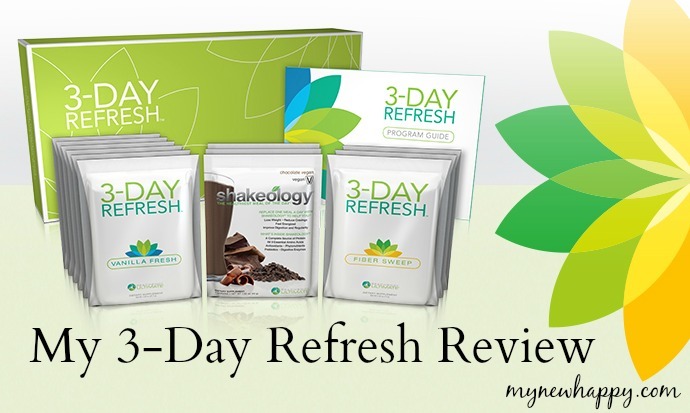 My 3 Day Refresh Review or What Have I Gotten Myself Into? I don't do well on diets. As soon as you tell me I can't eat something, I immediately crave it, even if I didn't want it before. I've stayed away from cleanses, because let's be honest, they all sound horrible. My motto has been "everything in moderation". 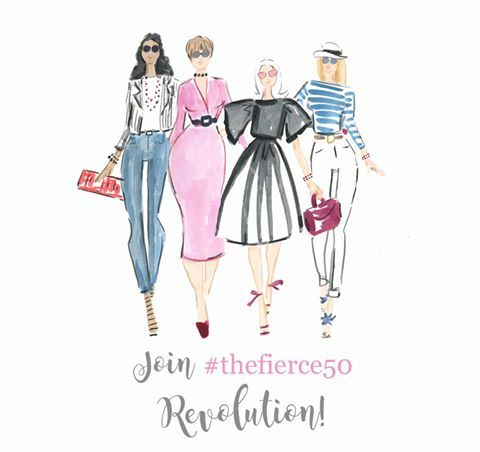 Suckily (yes, it is a word and it describes many of the bummers of midlife), as I approach fifty, the pounds have been slowly creeping on. The things I've always done aren't working anymore. I exercise most days and eat a fairly healthy diet, but...50. Hormones and a slowing metabolism mean I have to work harder and eat better, just to get the same results. Sigh. Time to try something new. 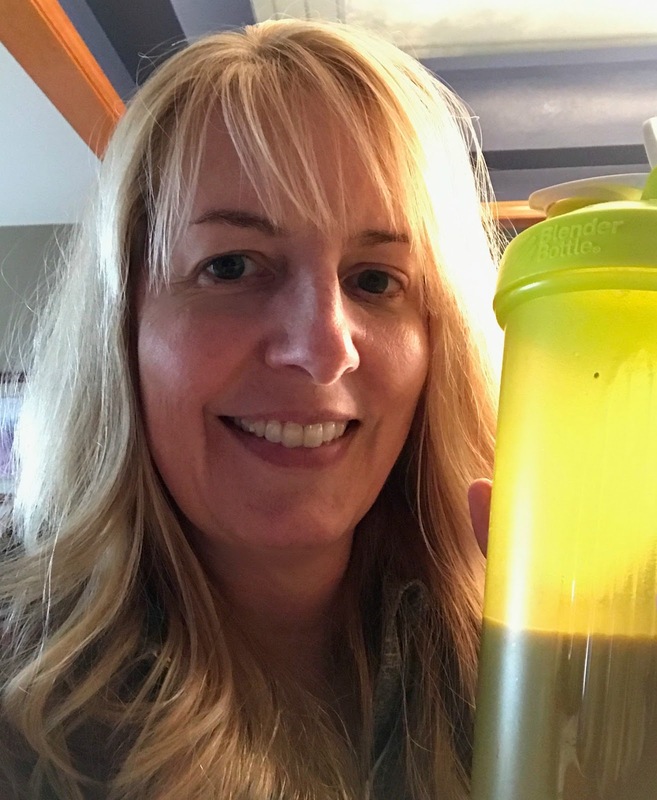 I've successfully used Beachbody workouts and eating plans before, so their 3-Day Refresh intrigued me. The $70 price tag was giving me pause. Well, that was my excuse, but really, the idea of a cleanse gave me all the shudders. Then the indecision gods intervened, and I won a 3-Day Refresh giveaway from my lovely friend Carrie. Apparently I was meant to give it a try. A few weeks later the box arrived, with its pretty colors and organized little packets. Visually appealing, but still, a cleanse. What had I gotten myself into? Not wanting to disappoint Carrie, I got over myself, picked a day to begin, and lived to write about it. Morning one with my breakfast Shakeology. Breakfast: Shakeology mixed with water and a serving from the fruit list. I picked chocolate Shakeology, and it was pretty good. Since I'm not hungry in the morning, this filled me up. Mid morning: Fiber sweep, mixed with water. This is kind of like metamucil. It doesn't taste terrible, but be sure to drink it as soon as it's mixed, because it gets very thick, very fast. One morning I got distracted by a phone call. Trust me, fiber sweep is better as a liquid instead of a gel. I was worried that it would do its job too well, but everything was fine in that department. Moving on. Lunch: Vanilla Fresh mixed with water, a fruit serving, and a veggie serving with a healthy fat. The vanilla was yummy, and I chose celery sticks and hummus. Still not feeling hungry. Mid afternoon: A serving of veggies with a healthy fat. I had carrot sticks and mashed avocado. Dinner: Another Vanilla Fresh mixed with water, and a salad or veggie dish from the approved list. I had spinach salad with mushrooms, sunflower seeds and a lemon/olive oil dressing. There is an option of adding a cup of vegetable broth, which I did. By this point I was HUNGRY. I ate the same things all three days. I found it easier that way. For more variety, there are lots of options on the approved food lists. Of course, tons of water is recommended, along with green tea. My only cheat was half of a Diet Coke with dinner, because I wasn't willing to put up with a caffeine headache on top of a rumbling tummy. Moderate exercise is okay, so I walked on the treadmill after lunch. My thoughts? It wasn't that bad. Which doesn't sound like a great review, but keep in mind that this is a low calorie cleanse. It shouldn't necessarily make you feel great while you're doing it. I never felt shaky or light headed. I was a little hungry by the end of the day, but not ravenous. The first two nights I was exhausted by 9pm, so I went to bed early, and probably dreamed of chocolate and donuts. On morning four, feeling very proud of myself, the scale revealed that I had lost 2.5 pounds. My stomach was less bloated and seemed empty, in a good way. Thank you fiber sweep. Two weeks later, the best news is that the pounds appear to have left the building for good, so it wasn't just water weight. The Refresh comes with a maintenance guide, with lots of tips to keep the healthy momentum going. Would I do it again? Sure. It's a doable kick start to get back on track after the holidays, or to prepare for a special event or trip. And really, it's only three days. Now to figure out the other 362. Questions? I promise to give an honest answer. I'm so glad this was a good experience for you. I feel the same way - it's a great kickstart! I'm so glad I won your giveaway, or I might never have tried it. Thank you! I've done the Refresh 3 times and I love it, especailly before and after a trip. Right now, through the week days, I do a Shakeology shake every morning, a regular lunch and very light dinner and it's keeping me in check. Have a beautiful Monday!! I'm sure I'll do it again someday! I've never done a cleanse. This sounds like a good one to try! Thank you for sharing your experience! This was my first one, and I was definitely skeptical. I love your realistic review! I did this cleanse in January and feel like I barely survived. Haha. Without Carrie's support I wouldn't have made it. You're right though, it's not actually supposed to feel good...I should have reminded myself of that more. Whenever I started to feel hungry, I found something else to do. I got a lot done in those three days :)! Brave woman! The only cleanse I ever do is medically required for a colonoscopy or surgery. I am following a restricted diet now and when I go off for special event meals there is a craving. I'm not sure this is really even a cleanse, since there is plenty of "real" food included! How were your energy levels? I worry about doing something like this because I run every day and burn a lot of calories! I'd worry that I wouldn't have anything in my tank to run! But I guess it IS only three days... The shakes taste good? Not chalky? Yes, the shakes were pretty good. The chocolate Shakeology was better than the Vanilla Fresh to me. My energy was definitely down a bit, and they don't recommend that you do heavy exercise during the three days, so I just walked on the treadmill. So interested to read this. I bought the cleanse and planned to use it while PC was out of town for work but my box didn't arrive til he came home. Not sure how I would do fixing him meals to eat while drinking mine. I drink Shakeology a lot for breakfast and years ago did Slim Fast. Thank you for sharing your thoughts and results. Planning to do my cleanse in May when PC goes back out of town. Unless I miraculously get to my goal and stay there before that!! I used to do Slim Fast too! I think you'll like this program, and you get to actually eat real food! Exercise used to be all I needed, but sadly, not anymore. I liked this one because I got to eat actual food. Oh glad that it worked for you. I've been contemplating the BeachBody ones. I did the Costco one and man was that drink rough! I don't think I would do that one again, but I did like the kick start and starting again, sort of changes your mindset ya know? It definitely makes you realize what you can live without. The Shakeology was pretty good! It was definitely a great kick start - now I just need to keep it up! 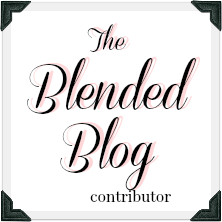 I used to be a big Shakeology user and loved it! My favorite was the chocolate. Glad you enjoyed the 3 day refresh! The chocolate Shakeology is definitely tasty! I think that helps a lot. I get shaky and lightheaded easily so I'm glad it didn't do that. One benefit from working at home is that if a fiber sweep worked too well.. I'd be in the right place. But you were honest about that too! Haha - I was glad to be working from home too, just in case!